If you can’t make the workshop? No problem. You can give input about the need for a new skate park in Carlsbad through the online survey which will be available beginning Friday, June 8 at www.carlsbadca.gov/input. For the rest of the details, please follow the jump. You can also sign up to receive regular updates on the project by email or text message. For email, visit our website at www.carlsbadca.gov, click the “Email updates” button and select the “Parks & Recreation: Buena Vista Park” list. To receive updates via text, send the word BUENAVISTA to 797979. Regular text charges apply. The new park is made possible through a set of agreements approved by the Carlsbad City Council in March 2017. 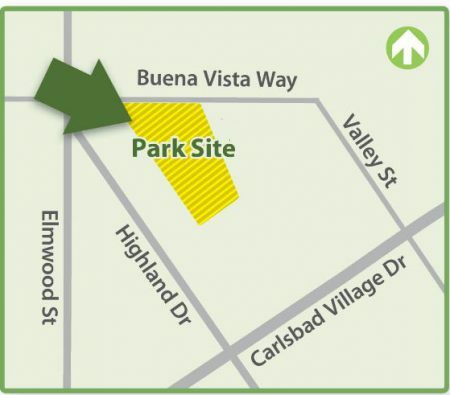 The agreements will also ensure the completion of the missing link of Poinsettia Lane, the creation of new trails and the addition of protected habitat in Carlsbad. For more information, visit the project web page or contact Kyle Lancaster at 760-434-2941 or kyle.lancaster@carlsbadca.gov.